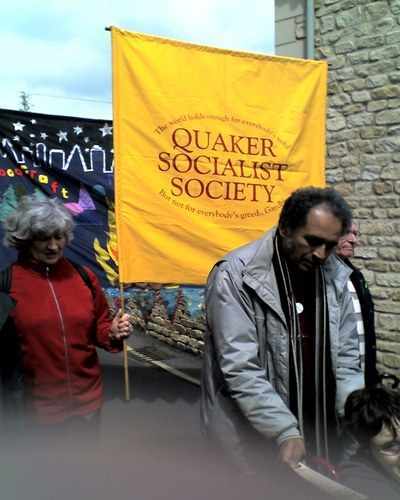 The Quaker Socialist Society brings together all who share the principles of Quakers and socialism, without entailing formal membership of any group or party. We aspire to share ideas and concerns among men and women everywhere, especially where such ideas and their expression are less than prominent in today's media and political arenas. 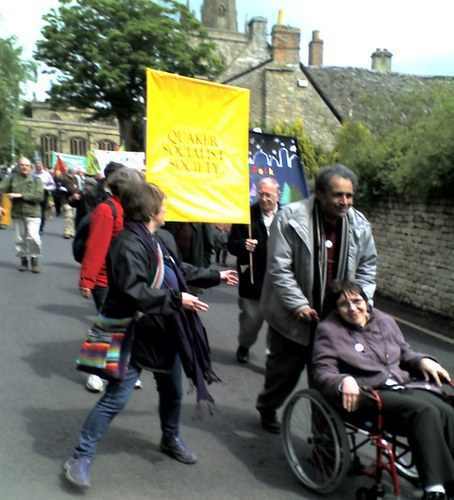 We believe that the foundational ideas of both Quakers and socialists are of particular value in the twenty-first century, where bankruptcy of ideals and action is one of the great problems of our time. We feel that we owe it to all future generations everywhere to keep alive the vision, commitment, and courage of independent thought which the two threads of our Society's unity bring together. Our membership extends across the UK; you'll find usefulm contacts on this site.